We are on the TV Channel Nine ! We are on the TV ! 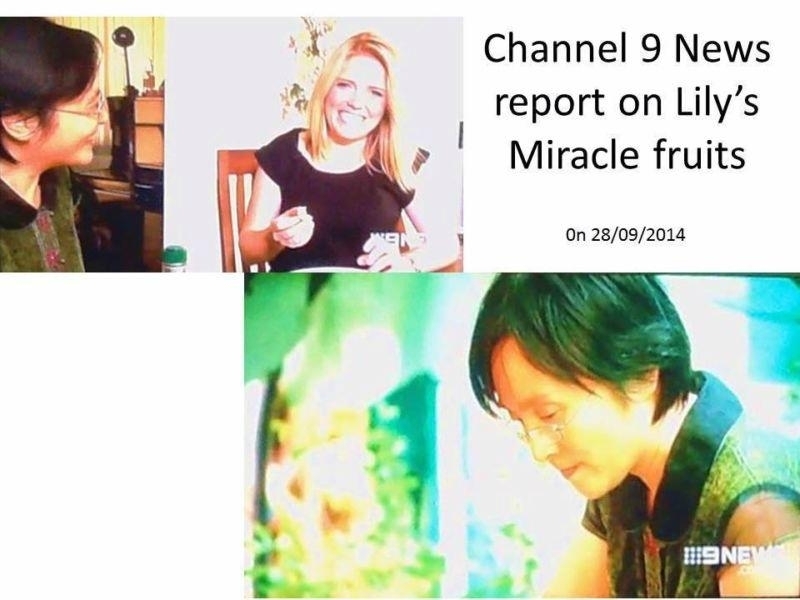 Channel 9 reported on us ! 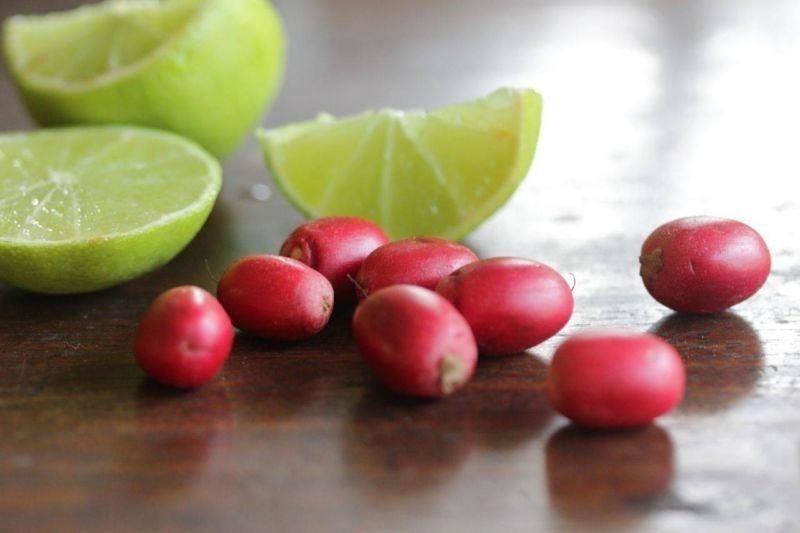 Try a miracle fruit to amaze your taste buds : sour things taste sweet ! If you have sweet tooth but are worry about your weight, then miracle fruits can also help – enjoy desserts at really low calories, and rich in Vitamin C ! 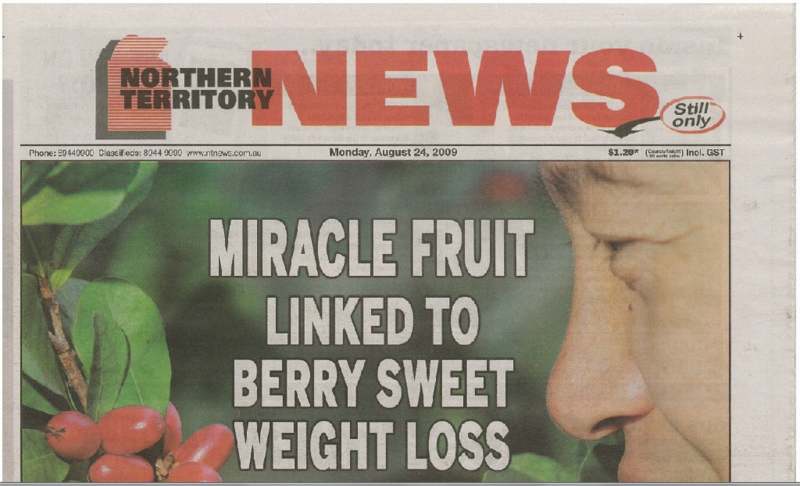 Miracle fruit has also beneficial effects for diabetic patients. Do a Google search, you will see lots of information on it. Chicago Tribune newspaper article (13 March 2013) "A diet miracle?" or just leave a message at the Contact page. The fresh fruits are highly perishable, and each fruiting period is only for 1-2 weeks, so be quick when they are available. We have seeds and plants for sale all year around.